If you have been charged with an DWI in North Carolina, there may be an opportunity for you to drive once again. A Limited Driving Privilege allows someone convicted of an DWI the opportunity to drive even with a suspended license if deemed appropriate by the Court. However, a privilege to drive is subject to conditions and limitations that are placed on the driver by the court. The North Carolina Department of Transportation / Division of Motor Vehicles also review Limited Privileges to confirm eligibility and compliance with the law. What Could Prevent Me From Receiving a Limited Driving Privilege? 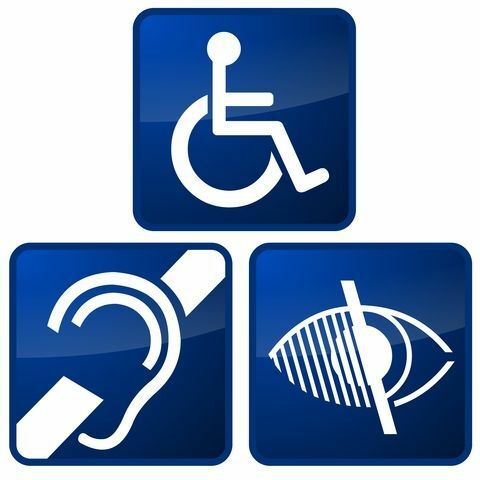 There are different requirements for an individual to be eligible to receive a Limited Driving Privilege. Even if all these factors are met and the individual is eligible it is still NOT guaranteed they will receive one. The Judge still has discretion on whether or not an individual is granted a Limited Driving Privilege. DMV can also “disallow” a Limited Privilege if the application is in error or in the event the driver is ineligible. Any violation of the privilege is subject to immediate revocation of the individual’s license. Because the limited driving privilege is granted in the discretion of the Court and serves as an Order, it is important to follow all the terms and conditions imposed by the Judge. How Could a Lawyer Help Me Get a Limited Driving Privilege? If you are convicted of an DWI in North Carolina, your privilege to drive in North Carolina will automatically be revoked for one year. Now, North Carolina has what’s known officially as a limited driving privilege. Some people refer to those as hardship license. Some people refer to those as work permits or work privileges, but it’s called a limited driving privilege, and you are eligible for a limited driving privilege if there are no grossly aggravating factors present in your case. Then the hours and the day that you can drive, the days of the week that you can drive, are in the discretion of the Judge, and so it’s up to an experienced DWI attorney to present it to the Judge and have the Judge sign this order, which acts as a substitute driving privilege from the court that takes priority over the revocation imposed by DMV. There are certain requirements, documentation, and forms that lawyers will need to submit to the court in order to petition for a Limited Driving Privilege. At Glover Law Firm, we normally prepare the necessary documents for you and walk you through where to get the different forms. 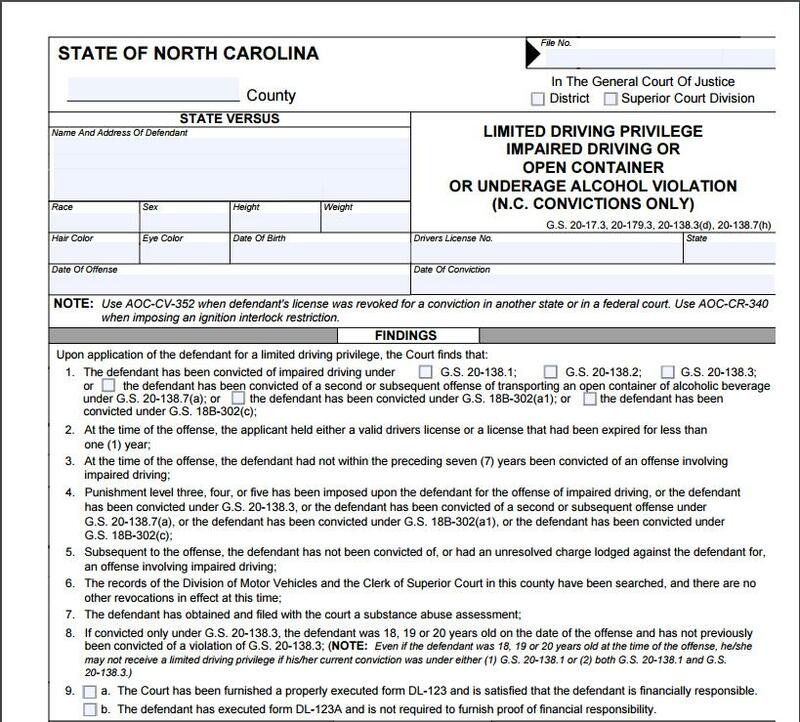 The first form being the Petition for the Limited Driving Privilege that correlates to DWI offenses in North Carolina, there are different types of Petition forms for different Limited Driving Privileges. This can make the process of obtaining the correct one difficult and more confusing.